eTech are proud winners of The National Data & Software Company of the Year at the Energy Efficiency & Retrofit Awards 2016. The National Energy Efficiency & Retrofit Awards were launched in July 2015 following the changes in Government Energy Efficiency Policy. Previously known as the Green Deal & ECO Awards, these awards were set up in 2014 to help motivate the energy efficiency sector in their delivery of the Green Deal Finance Initiative and Energy Company Obligation Scheme. 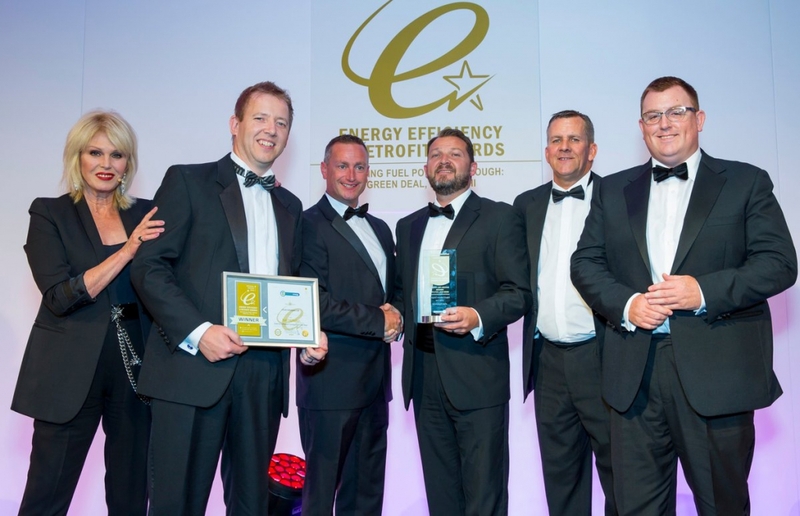 The prestigious black tie event on Friday 16th September, held at the Hilton Metropole, Birmingham not only recognises the excellent work the Energy Efficiency sector is doing but also encourages best practice within the Energy Industry as it works to improve UK housing stock.